Add flavor, texture and nutrition to your salads and sandwiches with quick-growing Organic Radish Microgreens. Bearing bright white stems and large leaves, this superfood can be grown as a microgreen or sprout. Plus, it's an exceptional source of protein, vitamins A, B6 and C, calcium, iron, magnesium and potassium. Enjoy them as young seedlings, harvesting just before their first true leaves emerge. 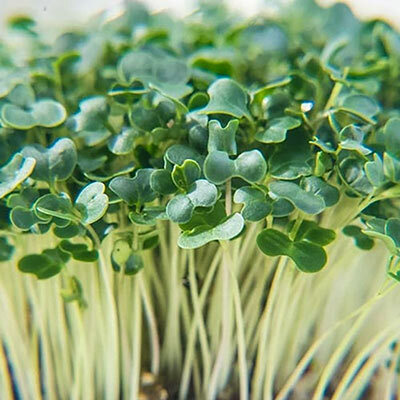 Microgreens can be grown indoors year-round using our Microgreen Growing Kit. 5-12 DAYS.